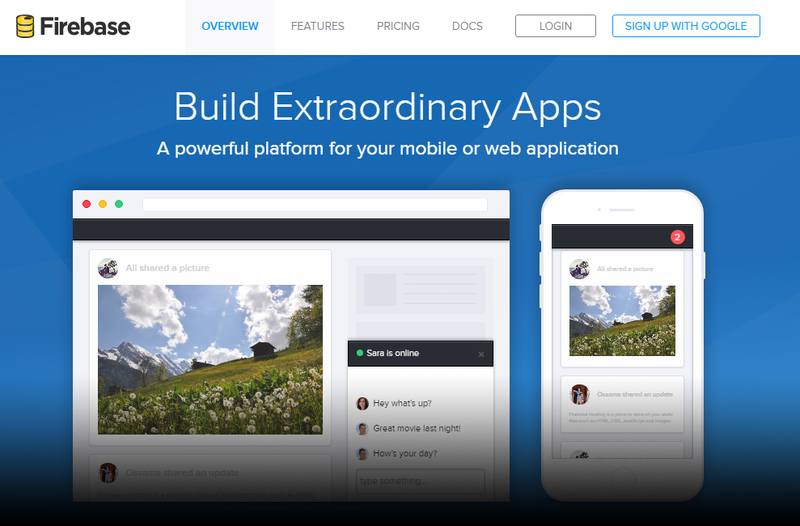 Practical implementations of the Google Drive CMS workflow. Using Firebase to create an instance of the Google Drive CMS without the need to write server side code to handle the JSON payload. 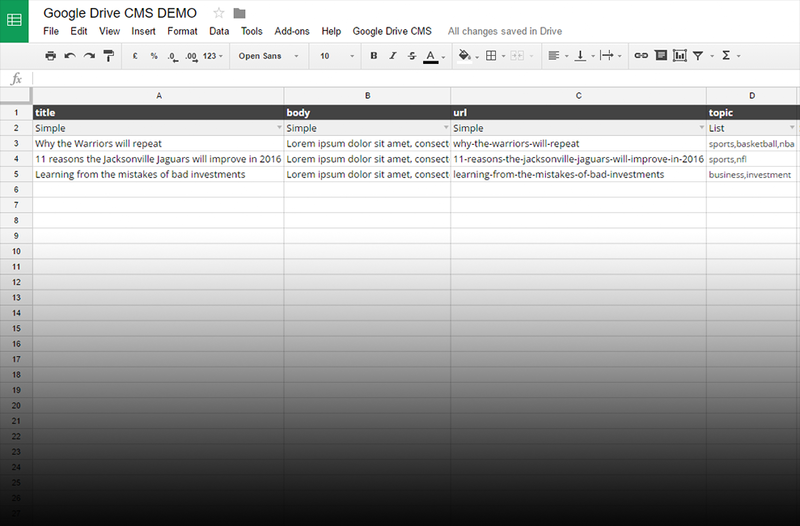 A demo spreadsheet for a blog application sending its content to a Firebase endpoint.